Do you work ​or want to work ​in a company or project that aims for social impact? Are you hoping to meet others like you or learn about what supports are out there? Are you interested in making the world a better place? We are delighted to invite you to the second installment​ of the Catalyst series, brought to you by Community Finance Ireland. This exciting event will take place in the ​creative co-working space Tara Building on Tara Street ​in Dublin 2. Please find your invitation attached (RSVP required). Whether you’re a seasoned social entrepreneur or simply interested in learning more about this space​, the Catalyst series is for you. This upcoming event will feature curated chats focused on building the social impact sector – as well as a creative networking session where you can ‘BYO-question’ and get advice or share ideas. To RSVP, please fill out this link by Monday, July 2nd. ​Unlike many other events, Catalyst is co-created with and for you, the attendees. Through the link, you will have the opportunity to share with us a bit about you and what you want from the event, so that Connect the Dots (event design and analytics) can tailor the content and format of the event to ensure it is as valuable as possible for you. 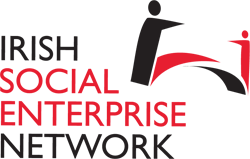 PS This series is brought to you by Community Finance Ireland, and supported by SEDco, Social Innovation Fund Ireland, Ashoka, Social Entrepreneurs Ireland and The Social Enterprise Network. Connect the Dots have come on board to design the series, leveraging their ​co-creation process to ensure that​ Catalyst is as relevant, engaging, and impactful as possible for you.